Our team of press operators, with an average of almost 20 years in the trade, have a wealth of industry experience to bring you the highest quality printed products. We offer design flexibility and quick turn-around time for your projects, regardless of scope and size. 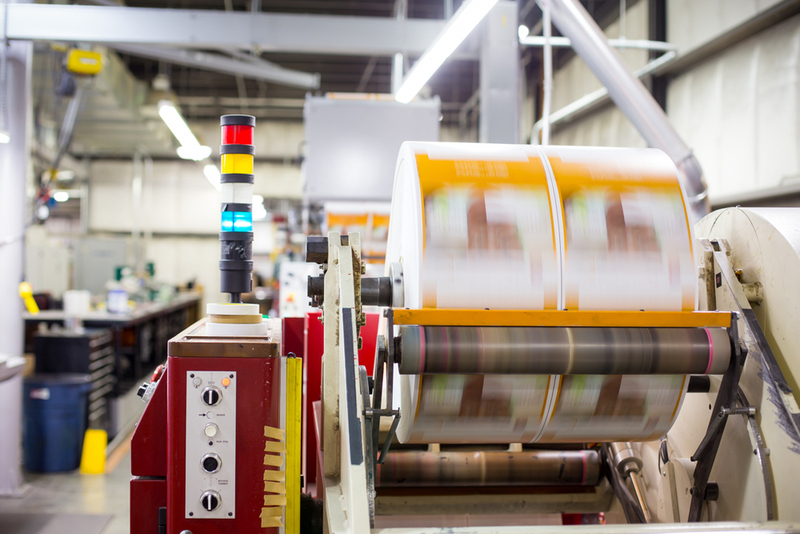 Parkland offers state-of-the-art press services, yielding efficiency, with precise color and proofing capabilities from design to manufacturing. Our modern fleet of UV Muller Martini Conceptas, equipped with color control and monitoring systems to maintain color accuracy, gives us the press technology to meet your printing needs. We offer a variety of printing insert sizes which allow us to gain efficiencies by reducing paper waste. Also, with the addition of in-line UV coating units, we now can offer a wide array of specialty effects. All that in conjunction with the ability to print up to 10 colors we can help you produce any envelope you can dream up.